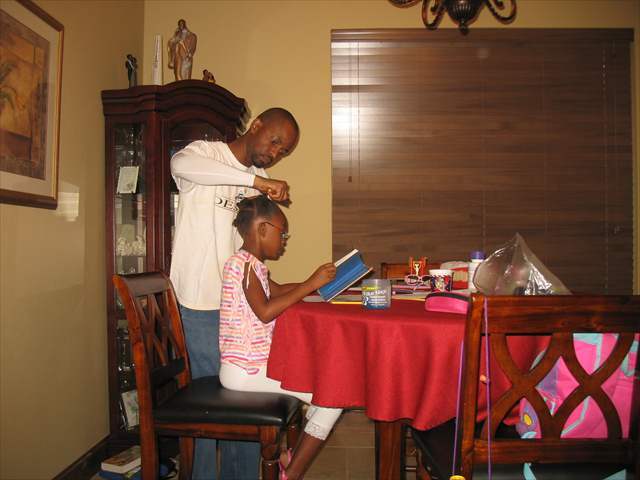 The start of school means that I have to work my magic on my daughter's hair in the mornings. Yay! 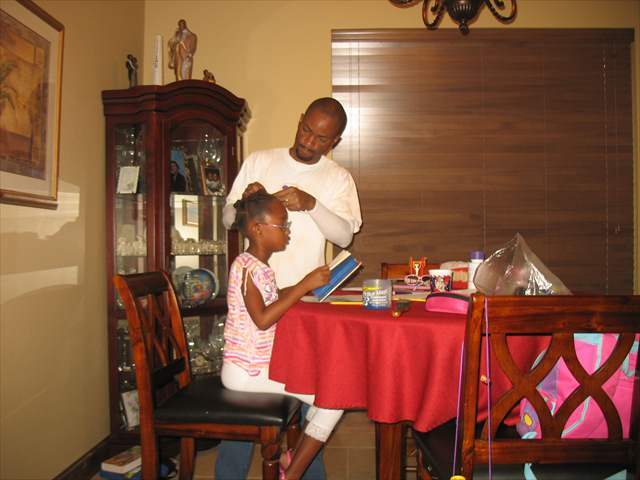 Doing my daughter's hair has never been a problem for me. I've been doing her hair since she was an infant. I've done mom's hair a few times as well. I just can't get my hands to cooporate for braids and plaits, so I just stick to twists. This is one of the huge perks of being a stay-at-home-dad. 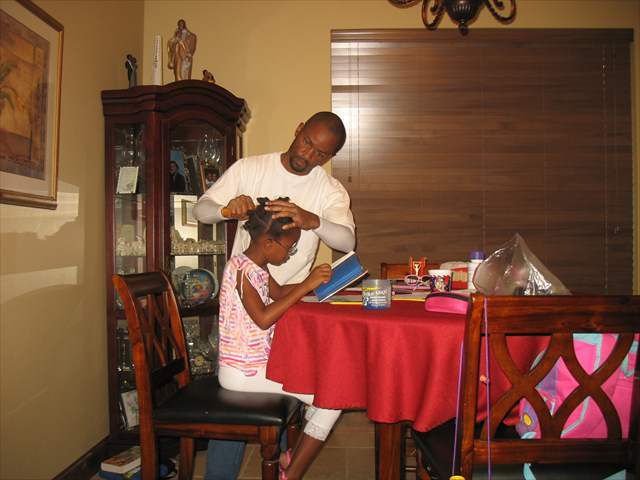 I get to spend this time with my daughter, interacting with her and doing things her hair. These are things she doesn't even think about now, but I'm sure she will remember when she's older.